4/20/2019 - Our 25 Varsity Team Members for April 15th VS the West Bend HS are; Timothy Gehring, Luke Ellenbecker, Nathan Leininger, Keegan Scoles, Alex Lange, Eric Land, Cal Gall, Brandon Stuesser, Cole Bock, Megan Lemke, Vincent Hansen, Eric Scharfenber, Josh Weber, Jack Pluta, Brandon Sivula, Braedon Minor, Jacob Ellenbecker, Reed Weyer, Nolan Miller, Nick Vandervest, Alex Laufenberg, Tyler Wenzel, Alex Godin, Zach Kohlman, and Michael Schuster. Our 5 Alternates to the Varsity Team are; Gage Resheske, Isaac DeWalt, Hunter Springer, Jack Reed and Andrew Myers. If you are listed here you need to be at the club house by 4:50 and check in at the back desk to let us know that you are ready, all other students to sign-up on the two sign-up sheets. As always you can come in earlier to help set up!!!!! 3-30-19 - Our 25 Varsity Team Members for April 1st VS the Flyway Clay Slayers are; Timothy Gehring, Luke Ekllenbecker, Nathan Leininger, Keegan Scoles, Alex Scharfenberg, Cal Gall, Brandon Stuesser, Cole Bock, Megan Lemke, Vincent Hansen, Hunter Springer, Ethan Henneberry, Eric Scharfenberg, Jake Melzer, Xander Sterman, Brandon Sivula, Reed Weyer, Jack pluta, Jacob Ellenbecker, Michael Schuster, Nolan Miller, Jack Reed, Cody Werner, Brennan Kind, Andrew Myers and Destiny Krueger. Our 5 Alternates to the Varsity Team are Jordan Ritger, Andrew Olson, Domenic Catarozzoli, Evan Weyer and Logan Jossart. If you are listed here you need to be at the club house by 4:50 and check in at the back desk to let us know that you are ready, all other students to sign-up on the two sign-up sheets . 3/24/2019 - TEAM PICTURE at 5PM SHARP!!! Our 25 Varsity Team Members for Mar 25th VS Fond du Lac are; Timothy Gehring, Luke Ekllenbecker, Nathan leininger, Alex Hefter, Gage Resheske, Jake Melzer, Jacob Ellenbecker, Alex Scharfenberg, Cal Gall, Alex Lange, Cole Bock, Josh Weber, Brandon Stuesser, Hunter Springer, Vincent Hansen, Ethan Henneberry, Brandon Sivula, Megan lemke, Eric Scharfenberg, Tyler Wenzel, Alex Godin, Brennan Kind, Reed Weyer, Even Weyer and Alex Laufenberger, Our 5 Alternates to the Varsity Team are Cody Werner, Nolan Miller, Jake Kohl, Logan Jossart and Zach Kohlman. If you are listed here you need to be at the club house by 4:50 and let the back desk know that you are ready, all other students to sign-up on the two sign-up sheets . 3/22/2019 - The Werner family has create a scholarship in memory of their son Cade Werner. Cade was a member of our team and was a crack shot on the trap line. Cade loved shooting and always had a smile on his face. Cade passed away in March of 2017 and is missed by his family, coaches and teammates. Cade's family has create a memorial scholarship in his name for 2 graduating members of our team. Please see Coach Scott for the scholarship requirements and applications. 3/17/2019 - Our March 16th practice will be as scheduled. 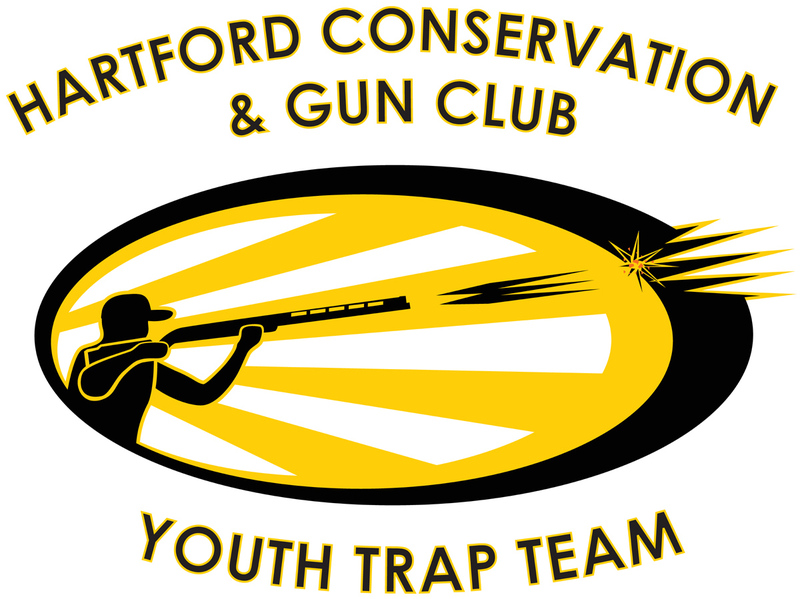 We will be sharing the club house and grounds with the Jackson Hunters Safety Group. Our first conference meet will be Monday March 18th at 5:00PM VS Horicon. If you need to leave the meet early because of another event you need to attend, you need to let a coach know and be at the club by 4:30. We will NOT be doing a team picture. You must have your team shirt on in order to compete in the Conference Meet. For those that do not have a team shirt yet you will be allowed to compete with out, they are being shipped on Mar 19th. - Our 25 Varsity Team Members are;Gage Resheske, Alex Scharfenberg, Nathan Leininger, Luke Ellenbecker, Alex Lange, Cole Bock, Jacob Ellenbecker, Keegan Scoles, Josh Weber, Eric Land, Cal Gall, Reed Weyer, Eric Scharfenberg, Ethan Henneberry, Vincent Hansen, Cody Werner, Braedon Minor, Tyler Wenzel, Jack Pluta, Brandon Sivula, Megan Lemke, Evan Weyer, Destiny Krueger, Brennan Kind, Alex Godin. Congratulations to our Varsity team starting out the 2019 season. Our 5 Alternates to the Varsity Team are; Jeffery Brezonick, Michael Day, Jake Kohl, Logan Jossart, Zack Kohlman.